SALEM — All are invited to a free opening reception for “POP! Goes The Gables,” a spirited new exhibition at The House of the Seven Gables. 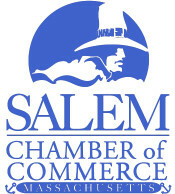 The reception is Friday, April 5, from 5 to 7 p.m., at the Visitor Center, 115 Derby St., in Salem. Hors d’oeuvres and a cash bar will be available for those in attendance. The 2019 exhibit, which will run through September, is a retrospective of how The House of the Seven Gables has influenced pop culture. Residents and Gables’ visitors — from Nathaniel Hawthorne to Hollywood production crews — have been and still are inspired by the 350-year-old mansion and its storied past. Photographs, film clips, comic books and objects from The Gables’ collection illustrate how this icon of American history and literature has inspired American culture over the years. This event is free and open to the public. For information or to RSVP, those interested may visit www.7Gables.org/events, or contact Special Projects Manager Julie Arrison-Bishop at 978-306-7003, or email jarrison@7Gables.org. Support for the exhibit comes from a number of generous sponsors. Besides the exhibit, the Seven Lectures at Seven Gables series will complement this exhibit with an array of topics including TV, music, sports and comics. The first lecture takes place on April 11 — “Astral Weeks: A Secret History of 1968.” There are also two more Community Conversations scheduled this spring — April 3: “Becoming American: Family and Community” and May 1: “Becoming American: Immigration and Popular Culture.” This film and discussion series explores many timely issues surrounding immigration in America. It is open to the public, free of charge. Friday April 5 5 to 7 p.m.